The Greater Hudson Valley Family Health Center opened Harper Health at 290 Broadway in Newburgh, NY on Thursday, May 16, 2013. 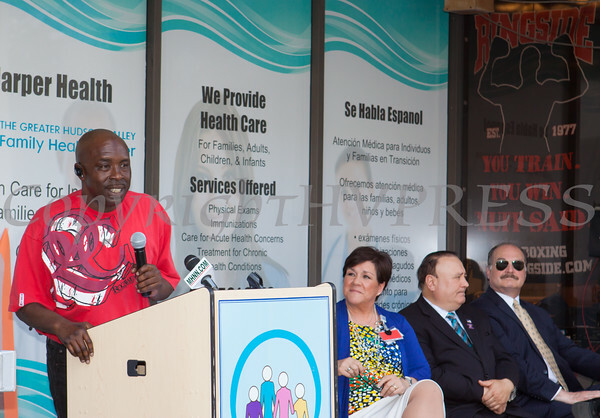 Clifton Jacobs, a patient of Harper Health, offers remarks as the Greater Hudson Valley Family Health Center opened Harper Health at 290 Broadway in Newburgh, NY on Thursday, May 16, 2013. Hudson Valley Press/CHUCK STEWART, JR.